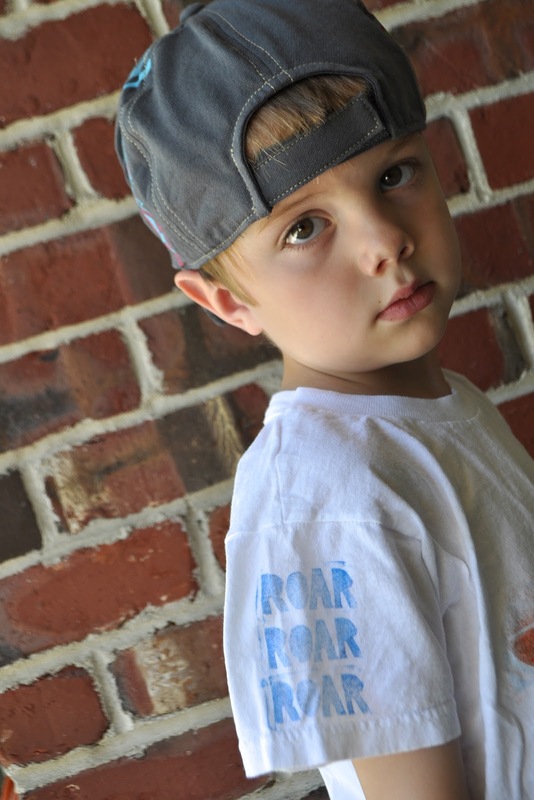 I've always thought it would be fun to have some type of clothing label to put on the clothes I've made for my boys, but personalized labels can get kind of pricey. Well, Scribbles recently came out with these new fabric stamp pads and they come in lots of colors. I have about a billion projects planned for these guys. So, I made my own stamp to create these little clothing labels. I got out an eraser to make the stamp and I drew on the letters backwards. Then I used a craft knife to carve out the negative space. Once you stamp it on the ink pad you can see if you've cut away enough of the eraser. I left my edges a little higher because I liked the look of the slight outline around the word "ROAR." You can vary the look of the stamp, depending on how well you covered it with the fabric stamp pad. I liked the aged look here. .....sewed it on in a fun messy way. Knit fabric doesn't fray so I left the edges. 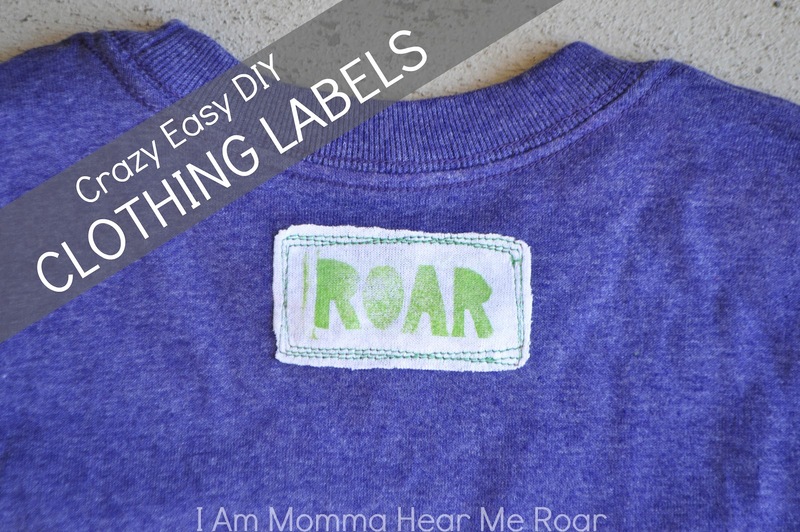 You could make more formal looking labels by using a ribbon or any fabric with the edges tucked and sewn under. I experimented with stamping the label in other places. I liked the look of it just up one sleeve. Since you can change the fabric, the color of the fabric stamp pad, or the location of the label you can come up with a ton of different looks. Be sure to heat set the stamp when you're done (which is done by placing a cloth over it and ironing it). And now the clothing has that extra personal touch. this is great! I have been looking for fabric stamp pads! Thank you for sharing! 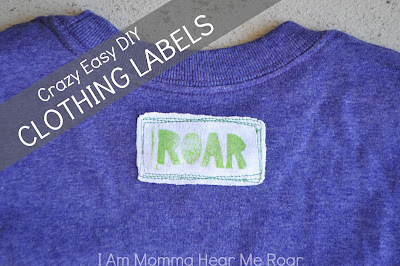 Wow what a great way of creating unique garment labels!